Authorities at Lake Mead National Recreation Area are searching for a person who may be missing within the park. They received a call around 9 a.m. Aug. 11 about an overdue boat on Lake Mead. 69-year-old Brian Yule was last seen leaving around noon Aug. 10 from Callville Bay Marina. Yule has gray hair and green eyes. He is 6 feet tall and approximately 200 pounds. The National Park Service, Nevada Department of Wildlife and Las Vegas Metropolitan Police Department have been searching the area by land, water and air. The incident is under investigation. Lake Mead was named the deadliest national park in America in 2017. The ranking was based on number of deaths at the park between January 2006 and September 2016. During that time, there were more than 1,000 deaths. The number one cause of deaths reported was drownings. However, officials says the number of drownings are actually lower in comparison to last year. At this time in 2017 there were 10 drownings, but so far in 2018 there have only been 3. 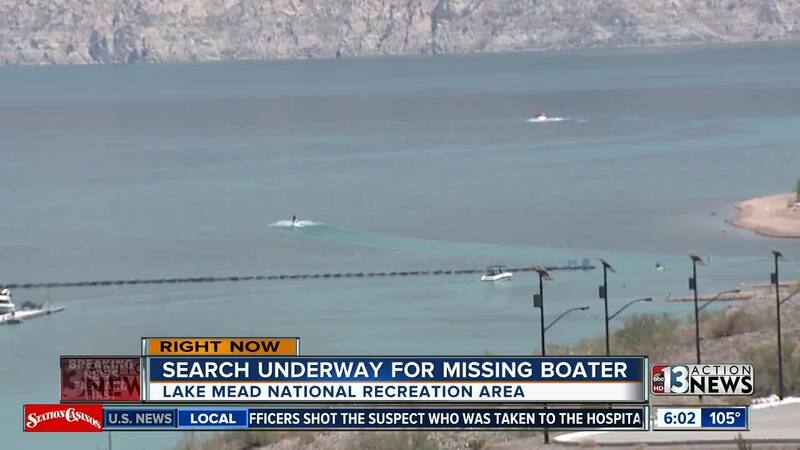 13 Action News spoke with boaters at Lake Mead on Monday to get their reaction. Brett Knowlton, a lifelong boater, says he knows how unpredictable things can be on the water, and always goes out prepared. Knowlton also brings along life vests, even ones just for his two dogs. Christine Vanover of the Lake Mead National Recreation Area says it's important for people to not take risks when it comes to being on the lake. “If a circumstance happens, we do the best we can to respond to them as quickly as possible,” says Vanover. Anyone with information on Yule's whereabouts and anyone who saw his boat is asked to call the Lake Mead Dispatch Center at 702-293-8998.